Do me a favour – click the x on the Wix and Weebly tabs you have open. Thanks. Now that’s we’ve dealt with that, here’s my blogging advice. 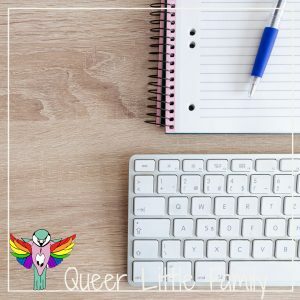 If you know you’re in this for the long haul – whether to make money, to write or just to have an author website you might as well skip the free sites and go straight in with a bit of money. 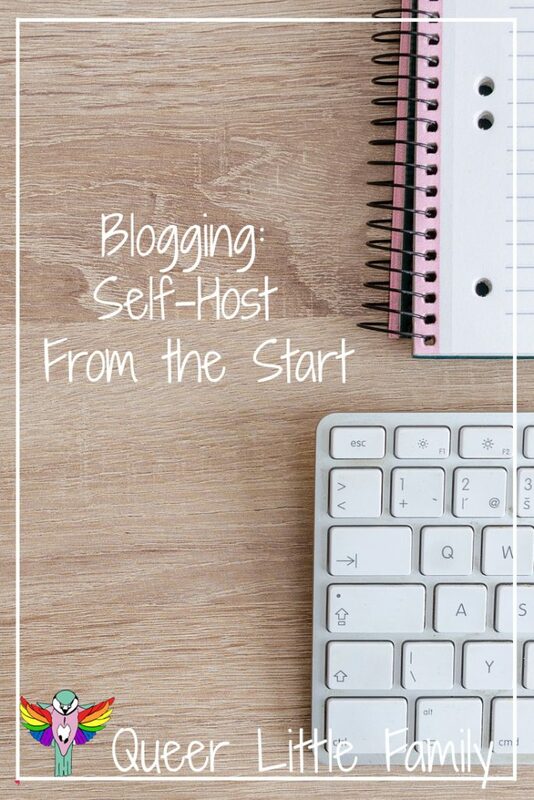 For about a fiver a month and then a tenner for a domain name – you can have a self-hosted blog that you have total control over. The problem with free sites like Wix and Weebly is that they never look great. You can make them look good, but rarely are they a beautiful piece of the web that people want to keep coming back to. They never look professional, everyone can see it’s Wix or Weebly or whatever and ease of use is an okay selling point but not a long-term one. I find blogs and websites hosted on these free sites frustrating. they’re never as quick as you would like, always put together a bit oddly and you never have the complete freedom you would have if you went straight into self-hosting. No adverts, no funny little banners, no annoying log-in boxes for people just to comment on your content. Everyone says WordPress has a steep learning curve – and maybe they’re right but it doesn’t have to be that way. I’ve been using WordPress for over a decade though and in that time have learned a lot about how it works and how to use it. Setting up self-hosted WordPress is actually the hardest thing to do. Over the years it’s gotten easier, more user-friendly and even the installation isn’t as hard as it used to be. There are ways too, to make it even easier. When I changed hosting, I installed WordPress on both this blog, my other blog and my writer portal using Softaculous. It does most of the work for you and all you have to do is fill in the form and press install. It even lets you pick from a few themes. Here are the images from my hosting so you can see what it looks like. I’ve added a few notes to help. Click for the full image. Don’t Be Afraid Of The Advanced Options. Your blog is stored in and accessed from a database. You will need one and most hosting packages will include one in the price. Before using Softaculous to install the software – make sure one hasn’t be created or named. Email your hosting provider. They are there to help. Check out the image below to see what I’m talking about. The other way is to upload WordPress via FTP or your host’s file manager if they have one. From there you can use WordPress’s famous five-minute install. We’ll look at that another time. A lot of hosting come with free domain names now, so if you can find one of those that’s a bonus. If it you can’t though then it doesn’t cost the earth. Just remember you’re usually locked into this domain name for a year, sometimes two – so make sure it’s what you want. I can’t tell you how many domains I’ve owned on and off over the years. This is the one that’s stuck the longest though. As for hosting, there are some great hosts out there and some crappy ones but everyone will have different views. What you want is good support, a good price and if you want to go this route for hosting – Softaculous. It’s used by many hosts though, so you won’t have a problem finding a good one. My host is 1clickcloud.net and I’ve not had any problems so far and their support has been brilliant (even though I have been annoying). This site has a long list of hosts that have Softculous and have rated them so you can see what your options are. Most won’t tie you a contract and you can always change hosts at a later date – with a bit of work but I’ll cover that in the future. This is for you. In the future I’ll talk about using WordPress, themes, plug-ins, and if there is anything else you want to know – get in touch. Leave a comment or send me an email! I recently went self-hosted and learning so much. you learn so much as you go along. developing skills whilst writing about what you’re passionate about. Amy recently posted…Medieval Times, Orlando. Amazing afternoon out for the whole family! Great tips. I went self hosted from the begining, complet by chance and im so glad i did. For the money it costs theres just so many advan that male it compl worth while.Thanks so much for linking up at #KCACOLS. Hope you come back again next time.